whats the best aftermarket handlebar grips and where to buy them? its for a stock 03 gp800r. just grips? I use streetbike grips, but motorcross MX grips work well. Donnie, where can you pick up a set of grips like that? anywhere local rather than ordering online? 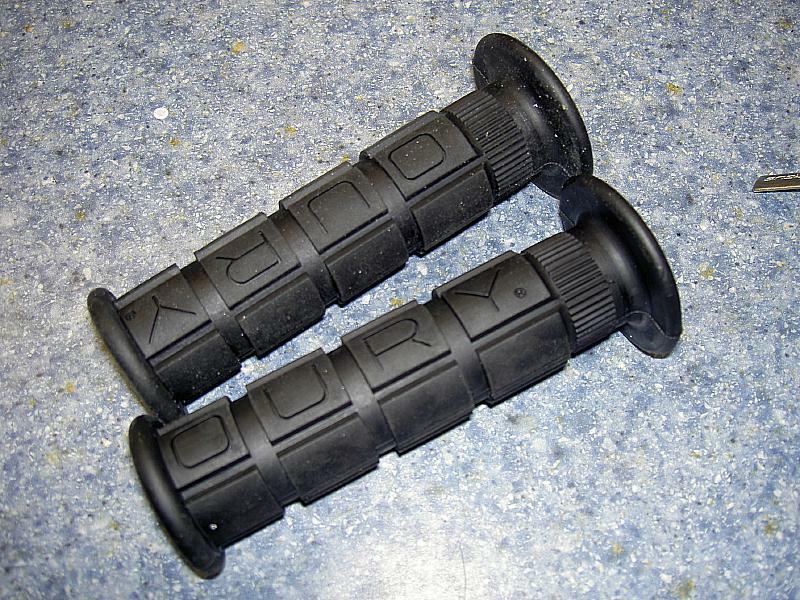 I was looking at the pics of RX's...the OURY grips look to be pretty good too..from a looks perspective.. I just went into my local bike shop, Deptford Yamaha, and looked at the grips. you need to use either MX style, or streetbike. Stay away from ATV or Waverunner. They wont fit with the stock trim system. Oh, and dave, stay away from lettering. My first set of grips were really nice and lettered, but teh GPR needs the larger ID grip on the left, MX and streetbikes use that grip on the right side for throttle. I have tried several and always end up going for the beefy OEM. I do use full finger gloves. I did notice that these aftermarket grips seem to be thinner. I saw that RX951 was using OURY grips I had never seen them. I have used Renthal and they blistered my hands ended up going to gloves changed to another ATV type can't remember name they were softer but so soft my cover wore the ends off in transit. Then I got some ODI's I do like them but they do not work with the stock trim I had stock on one side and the ODI on the other for awhile. I found some OURY grips when I was in Parker Yamaha a couple of weeks ago so I bought them and will give them a try. GTX-SC Seat cover and Gator Grips.